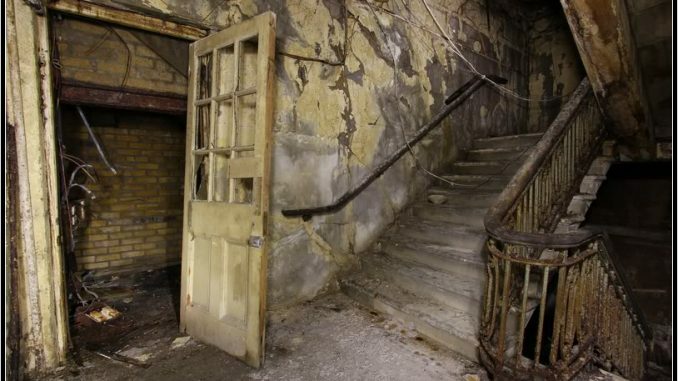 Fears have been raised that the auction of Ramsgate’s West Cliff Hall could result in it being landbanked and left to rot. 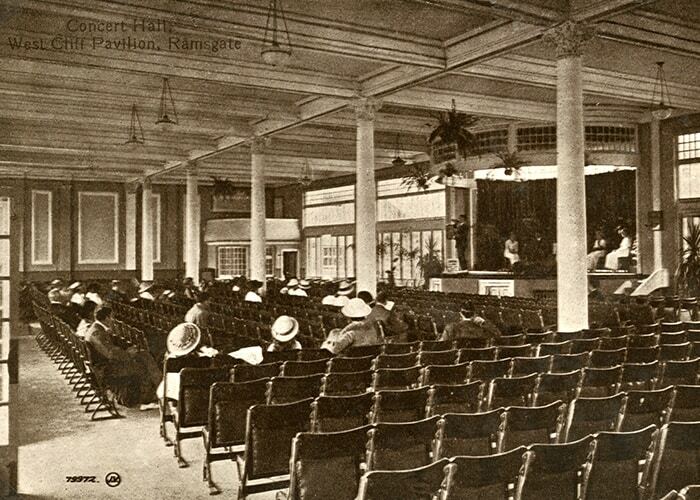 The hall, off The Paragon, will go up for auction on October 29 with Clive Emson. It has a £100,000 guide price. The site was agreed for sell-off in July as part of the council’s asset disposal programme. The decision infuriated Project MotorHouse, headed by Ramsgate resident Janet Fielding, which has been working since 2009 to acquire and renovate the hall to create cinemas; theatres; bars; restaurants, offices and youth facilities. Ms Fielding says a council attempt to market the property has already failed and the site will prove ‘problematic’ for whoever takes it on. She said: “The building supports the main road to the harbour and the first 40 metres of the West Cliff Promenade. The survey Project MotorHouse jointly commissioned with Thanet council in 2014, showed that the steel frame needed extensive repairs and should really be replaced because it is extensively corroded. 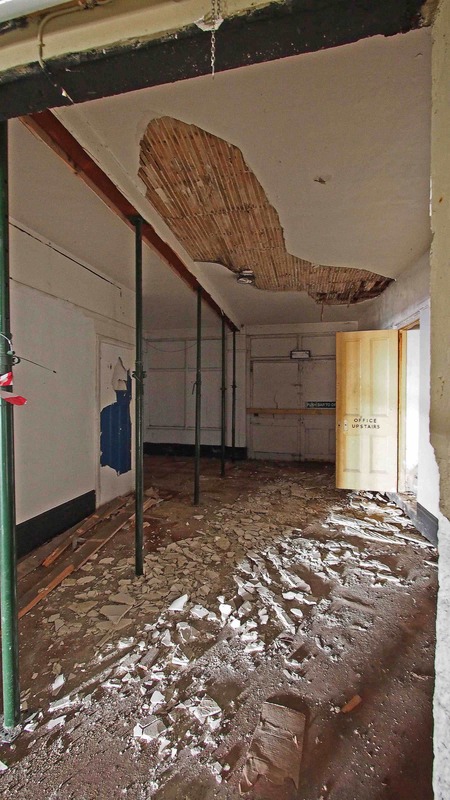 The structural survey, which was carried out by Holt and Wotton Ltd, says the toilet block of the hall “in part supports the adopted highway,” adding “some propping has been provided within the building. “The propping in the two-storey section is due to serious deterioration of precast concrete roof beams and the section of the promenade over this area of the building has been fenced off to prevent public access. 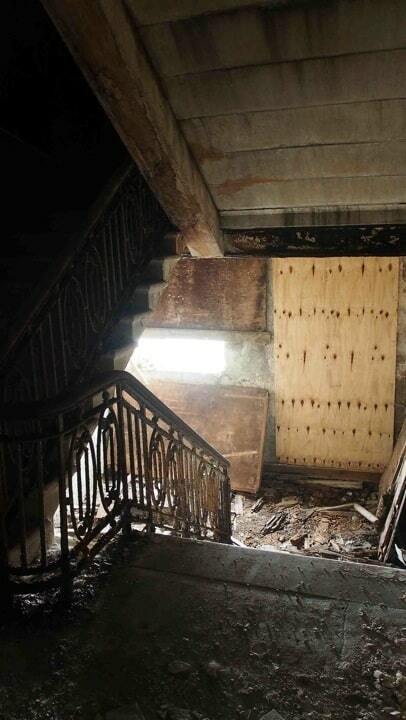 The report outlines corrosion and cracks throughout the hall and adds: “There are many issues with this building. A third option, to infill the site, was deemed too expensive. A suggestion was to demolish the main building and construct an embankment. 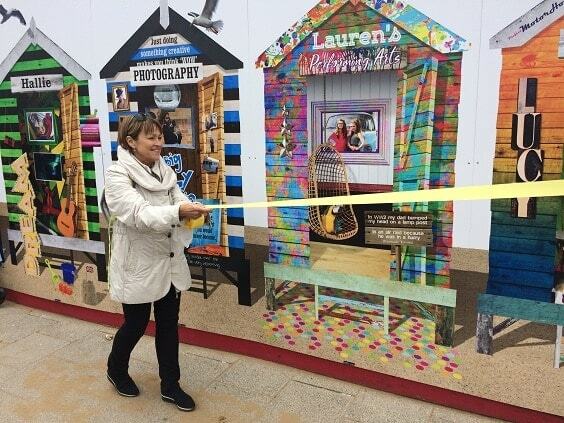 Ms Fielding (pictured) says estate agent Terry Painter brokered discussions between MotorHouse and some developers but they concluded that the site was too problematic to be a commercial proposition due to the structural issues, lack of parking and an inability to build above the promenade level. 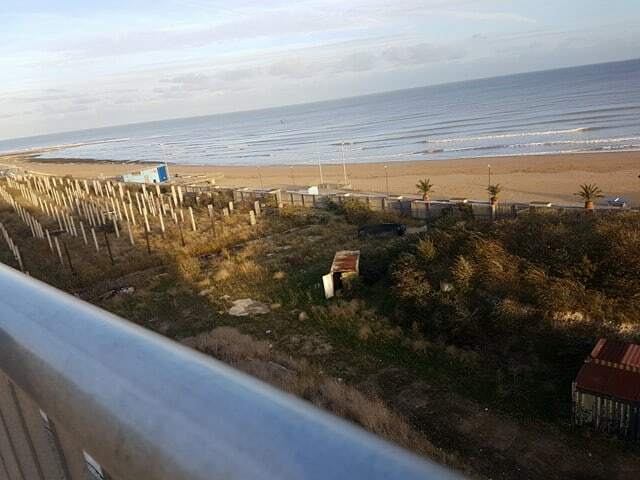 Ms Fielding added: “What is worrying residents of Ramsgate’s West Cliff is that TDC will allow someone to buy the site for a nominal sum who will then landbank it in the same way that they did with the Pleasurama site. The Pleasurama site on Ramsgate seafront has lain empty for 20 years following a devastating fire in May 1998. A deal was made with development company SFP Venture, a firm registered in the British Virgin Isles,which submitted a planning application in November 2003. In January 2004 planning permission was granted for a 60-bed hotel, 107 residential apartments, leisure facilities and retail. 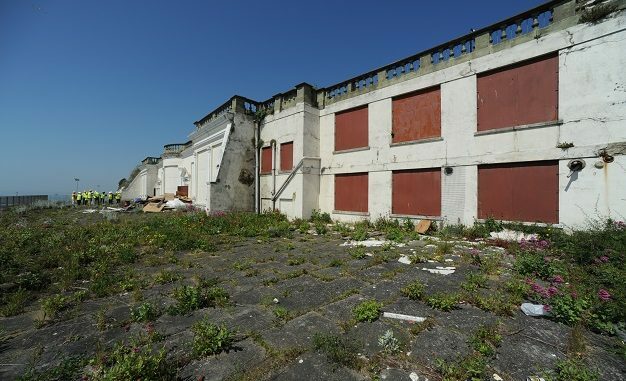 In February 2014 cabinet members agreed to axe the development agreement with SFP, who had not progressed with any development, but were unable to reclaim the three 199-year leases for the site because they had no long stop date in the deal. Talks with Cardy Construction to take over the project by buying out SFP were revealed in September 2014. Contracts, which TDC say included a long-stop date, were signed with Cardy Ramsgate Ltd – an independent company created for the scheme – in March 2015. Cardy Ramsgate Ltd completed a £3.515 million payment to Thanet council for the site freehold in July 2016. Land Registry records the sum as £3 million. The site is yet to be built on. 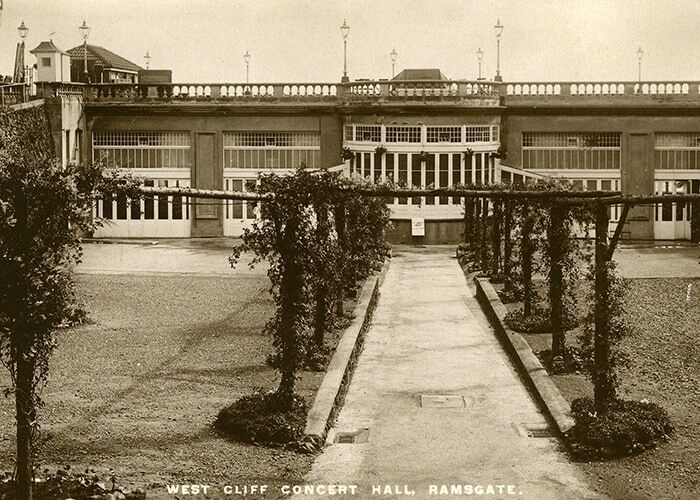 The West Cliff Hall opened in 1914 as a theatre, concert hall and promenade venue, adjacent to the Royal Paragon Baths. It had been an Italian Garden with bandstand until the cliff was dug out to make space for the new hall. 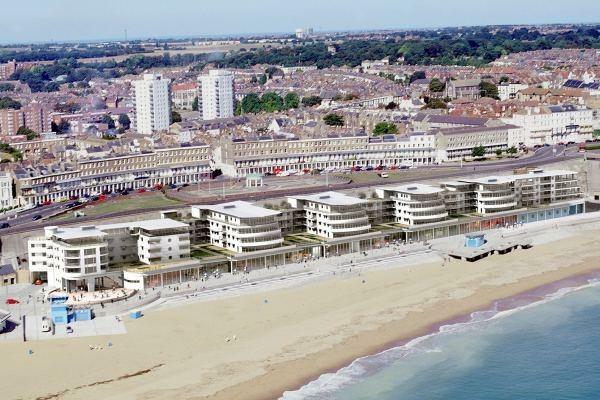 The first 40 metres of the existing promenade along Ramsgate’s West Cliff, are formed by the roof of the concert hall. The hall has had a rich history, including being the venue for a concert by the Rolling Stones in 1964, but it has lain empty since 2005. Estimates in 2017 for the repair work were £1.5million to fix the frame and the same amount to infill the site. The history of TDC’s neglect of its assets is a disgrace! Anyone who owns property knows the importance of maintaining it regularly to prevent deterioration costing far more to put right. It seems nobody told TDC officers or councillors this! If the road outside Churchills is not safe why are cars and buses still allowed to drive along it?